The UFIT Body Transformation Program does just that – transforms bodies, minds and lives! This fully personalised fitness and nutrition program will help you make dramatic changes to your weight and body shape over a short space of time - in just 10 weeks! But more importantly, this is just the beginning. We will set you up with life-changing habits so the results you achieve remain after you finish the program. Your weight is 80% defined by what you eat, and 20% by exercise. When you work on nutrition and fitness together you get dramatic results - with a lean, well-sculpted body that looks great, functions well, and is much healthier. Our approach to weight-loss is not about starving, meal replacements, or pushing you tirelessly in the gym. We will have you eating healthy, real food that you like and working out with a sensible and effective training plan that suits your lifestyle. “To be honest, I started the program at 136kg so significant weight loss was pretty quick but improvement to fitness took a bit longer. Our UfIt trainer, Tom, keeps driving us on by continually motivating us with realistic and measurable goals. This is a huge mental challenge too so doing this together with Sally is a great advantage and I wouldn’t be able to do this without her. 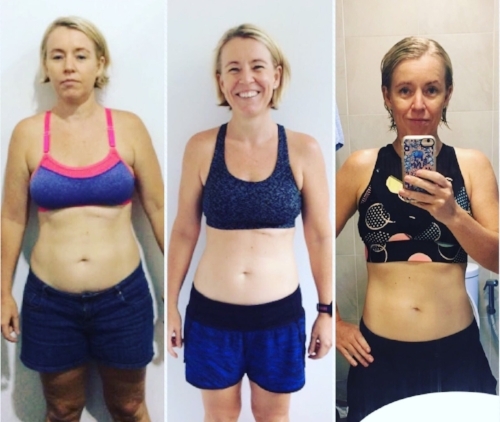 “I was doing HIIT classes up to 4 times a week, and although was getting fit, I wasn’t able to shift the weight I gained since having my daughter, and wanted to tone and build muscle and reduce my body fat. My husband and I decided to do this together as a team goal/lifestyle change. The results absolutely met my expectations and much much more. I didn’t expect to get these results so quickly, I thought I would struggle but once I saw results I wanted to see more and that drove me on”. 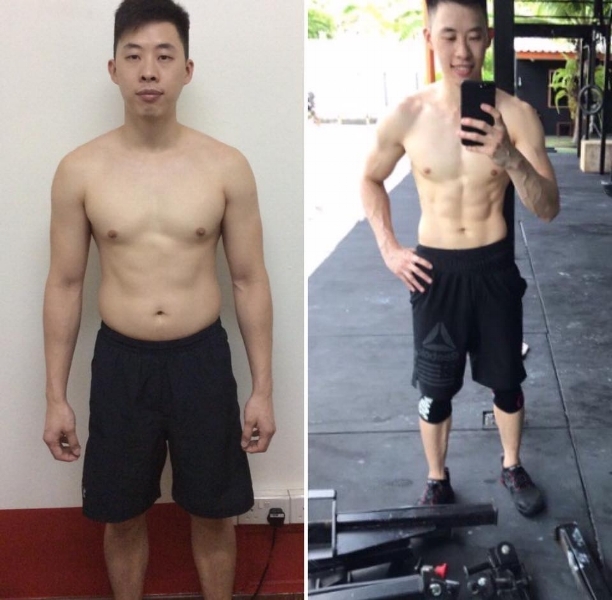 In just 6 weeks Jun lost over 5% body fat, then went to Thailand for a training holiday. Since returning, he signed up with CrossFit Tanjong Pagar for a year. He trains almost every day and is a big part of the CrossFit Tanjong Pagar community.